I’m stepping out of line here, but I believe someone has to put words to what the Holy Spirit has been telling us for years: married priesthood needs to be reinstated. The arguments against marriage for priests do not sit well with history or the majority of priests who claim they don’t cope with celibacy. The argument that the apostles left their wives to follow Jesus, has no substance. If that was so, who were all the women who followed Jesus and the disciples and provided for them? The early church had married priests, bishops, popes. There were problems when church property was passed on to the families of clergy, but I believe enforced celibacy creates greater problems. Some of those are now seriously affecting us. We all know fine young men who would be in the seminary now, if they could have a wife and family. To say marriage would detract from their vocation is not true, and it dishonours Orthodox churches which have always had married priests. In America, approximately 50% of ordained Catholic priests have left- mainly to marry. I don’t know what the figure is for New Zealand, but if married men could come back, what a difference that would make. There are two victims in the tragedy of sexual abuse– the abused and the abuser. We need to be clear-sighted about this epidemic. If we walk away from Nature, it will pursue us. The priests concerned were not bad men. Deprivation can cause distorted behaviour. I don’t think we can fully understand something we haven’t experienced. There is a tendency for lay people to idealise priests and for priests to idealise marriage. This can create unrealistic expectations, and surely does nothing to ease the loneliness and depression that affects some priests. Wouldn’t it be a relief if we all got real about the way we are made? When priests are allowed to marry, the church will also be relaxed about women working in ministry in the parish. Women find it demeaning to be treated as something foreign and slightly dangerous. In Catholic teaching, procreation in marriage is important. In Judaism, it’s about two people made in the image of God. At a deeply spiritual level, this is what it means to be pro-life. 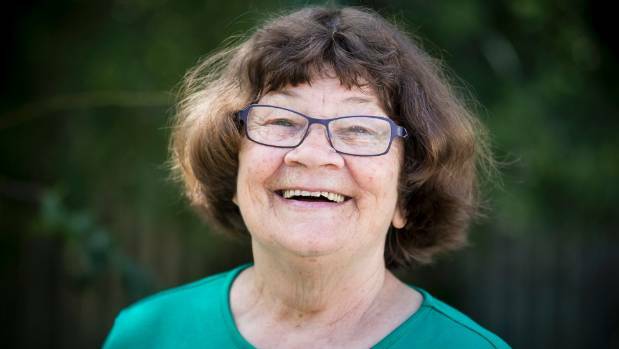 Joy Cowley is a wife, mother, grandmother, great-grandmother and retreat facilitator.